Ogawa is a top massage chair brand currently enjoying good sales in Canada. The reasons why Ogawa has quickly become a personal favorite to many in the country has everything to do with the chair’s sound mechanics, high performance and elegant design. If you are currently searching for a massage chair that can fit into your lifestyle, the Ogawa massage chair is a good choice. Not only is the chair design modern and perfect for squeezing into a small space, it has all the features needed to experience a rejuvenating and relaxing intervention. 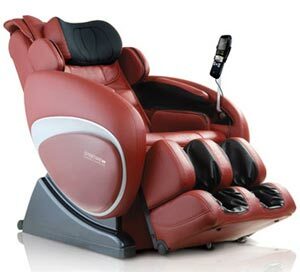 The Ogawa massage chair comes with a series of six massage techniques. These are kneading, tapping, rolling, clapping, shiatsu, and Swedish. These techniques are offered in auto program format but can also be selected manually as needed. Alternate between full body and partial or spot massage function. The full body massage function allows you to enjoy deep massaging action all over the body. Partial massage function enables you to formulate the massage for particular parts of the body, say the upper body, shoulders, necks, arms, hands, legs, calves or feet. Spot massage function allows you to direct the massage to a specific target area, whether this is the neck, head, back, arms, hands or feet. Use the massage adjustment settings to control the intensity, speed and strength of the massage. Enjoy up to five different different levels of each and alternate them as you like. There is also a function for regulating the width of the rollers. This can be controlled in three width adjustments. Use the wider widths for bigger body sizes and the narrow one for small body sizes. Ogawa massage chair extras are without a doubt the best in the market. They range from a removable back pad to a USB charger and massage pause and extension feature. Remove the back pad to enjoy a deeper massage in close contact with the massage rollers. Removing the back pad is a great way of enjoying an intense massage. With the USB charger, you can connect your tablet or smartphone to the USB port on the arm rest and keep charging of using the gadget while enjoying the massage. The pause and extension function enables you to pause mid-course if you need to leave the chair for a while to attend to something. Come back and resume the massage from where you left off. Use the add feature to extend your massage time. The time options can be increased in bits of 5 to 30 minutes. Each massage session is programmed to run for 15 minutes, but with this feature, you can enjoy a longer massage time. Ogawa is a brand that is synonymous with quality and efficient health care systems. Buying an Ogawa massage chair in Canada is the best way to ensure that you get a rejuvenating massage whenever you need it. Set the chair up in any of your rooms or in the outdoors to enjoy relaxing massages wherever you are. Some of the most popular models are DeLight, Nex Evol, Refresh, Smart Edge, Smart Sento, and Touch 3D.